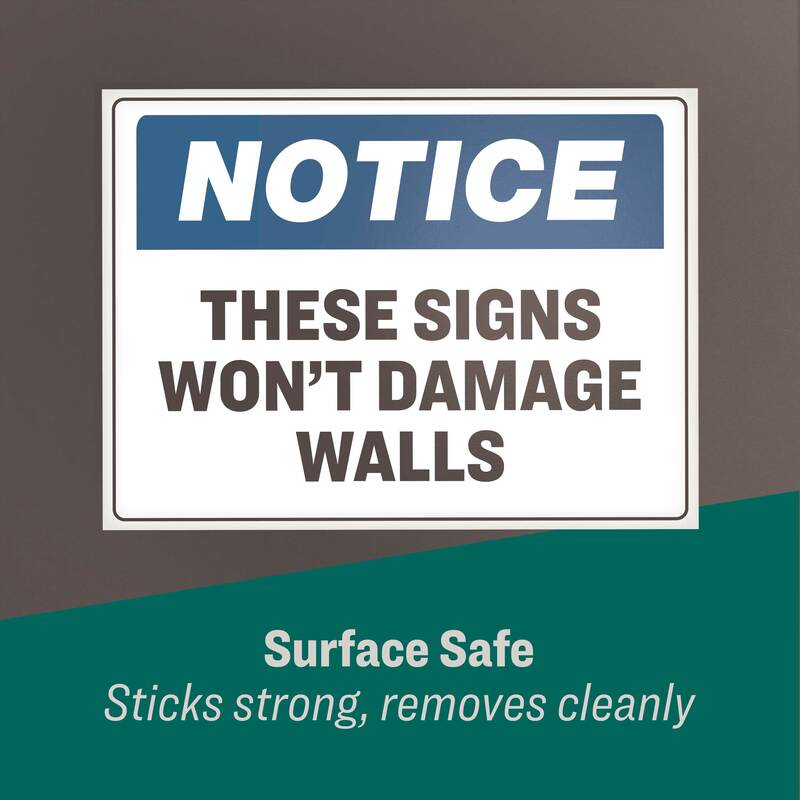 Avery® Surface Safe™ Sign Labels are specially engineered with adhesive that sticks securely but removes cleanly with no residue or damage to surfaces including glass, metal, and dry-wall. 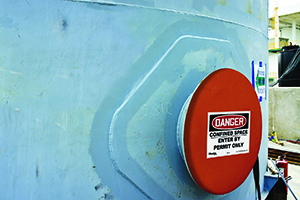 Sign Labels are compatible with laser and inkjet printers, and are resistant to water, chemicals, abrasion and tearing. Choose from hundreds of free OHSA/ANSI compliant templates to create and print custom signs in minutes. Designed to improve visibility, NightView utilizes Tensator®’s high quality webbing with the addition of reflective strands, woven directly into the fabric to ensure it is durable and hardwearing. 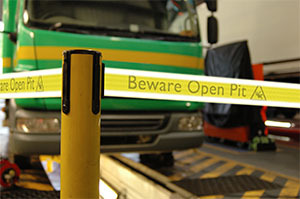 With NightView, Tensator is addressing the concerns of health and safety professionals and night shift workers across a broad sector of industries. Designed to be 100% compatible with all Tensabarrier® products, NightView can be used across a variety of sectors including emergency situations and services, construction and building sites, transportation hubs and locations, mines, airports and public events. Incorporating reflective strands woven directly into the webbing of the barrier, NightView is an ideal solution for highlighting potential hazardous areas to night shift staff, or for those working in environments with restricted light, such as construction professionals or miners. The NeuraLabel 300X from NeuraLabel Printing Solutions is a high-speed, high resolution printer for on-demand GHS and BS5609 compliant, full-color label printing. Built on advanced HP PageWide technology, the NeuraLabel 300x is capable of print speeds up to 20 inches per second (more than 100 letter-size labels per minute). With print resolution up to 2400 x 1200 dpi, colors are more vibrant and images are sharper on finished labels. 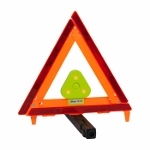 PIP’s E-Flare™ Safety & Emergency Beacon for Safety Triangle maximizes safety of the road triangle. Its flashing red LED beacon is visible for over ∏ mile at night while running in a single “AA” battery for up to 25 hours. It easily mounts inside most road triangles. Call (800) 262-5755 or visit www.pipusa.com to learn more. The K-Sun PEARLabel 400iXL General Labeling Solution pairs the new PEARLabel 400iXL Energy-Star certified, wide-format thermal transfer printer with powerful new PC software for industrial and safety labeling, wide heat shrink tube markers, custom and compliant pipe markers, tags and more. The 400iXL General Labeling Solution is designed for hazard communication, safety, 5S/Lean, GHS, manufacturing, warehouse and facility professionals—anyone who needs to make compliant communication in-house and on demand, at a significant cost savings over ordering signs and labels from outside vendors. 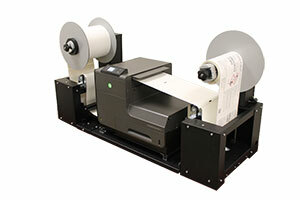 The K-Sun PEARLabel 400iXL printer can print one-, two- and four-inch wide all-weather labels and pipe markers up to 90” long plus die-cut label formats. Made of photosensitive anodized aluminum, Brady’s MetalPhoto anodized aluminum tags are designed to work with asset tracking systems and remain readable in extreme environments. MetalPhoto labels and tags have high-resolution, high-contrast graphics made of metallic particles that are sealed with an anodic layer. This protection, combined with the rigid aluminum base, ensures that the labels have exceptional resistance to abrasion, intense temperatures up to 650ºF, UV exposure, chemicals and solvents. The protected image is more precise and permanent compared to engraved or printed labels. They are available in rigid tag form or backed with pressure sensitive adhesive. 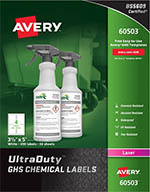 Brady has introduced the pre-printed ToughWash equipment labels and signs. The durable product line was designed to provide safety, lean and instructional messages as needed in food and beverage processing facilities while withstanding frequent washdown and sanitation processes. The labels and signs adhere to stainless steel surfaces and are engineered to withstand harsh temperatures, pressures, caustic materials and abrasive scrubbing. Brady Worldwide's "Edit This Sign" functionality is now available at www.BradyID.com. With the recent addition of more than 13,000 stock signs to its offering, the "Edit This Sign" feature allows users to quickly edit text and sign headers on stock signs at no additional cost. Brady has added the "Edit This Sign" functionality to more than 500 of its top-selling stock signs, with more than 200 unique legends for customers to choose from. Once users click on the "Edit This Sign" button, they are routed to Brady's Safety Sign Custom Design Tool, where the stock sign is automatically pre-loaded with attributes.